Impress your friends! 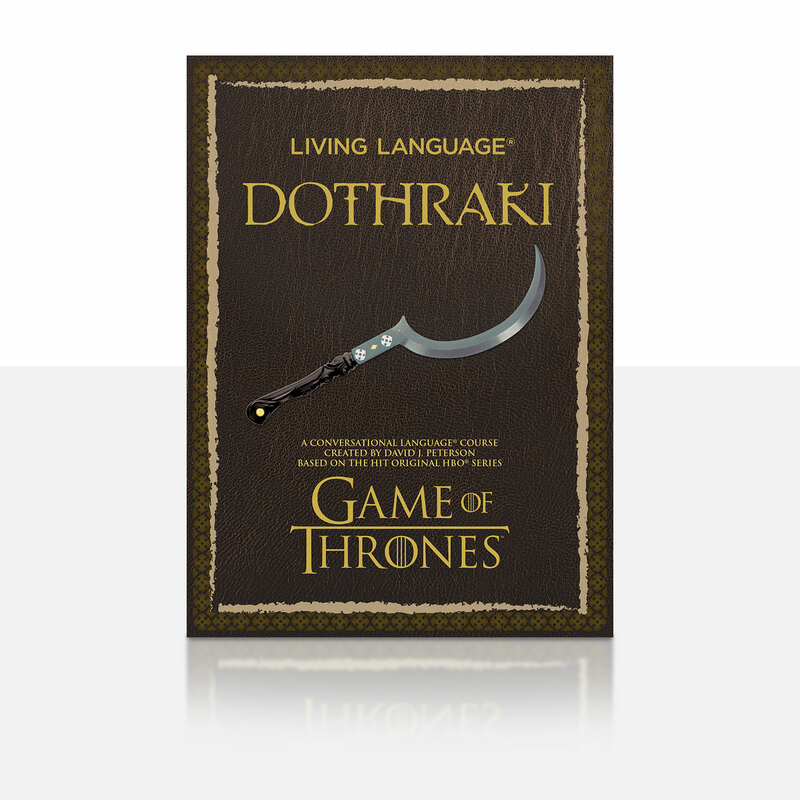 Learn Dothraki with the Living Language Dothraki course! As the popularity of the television series, based on George R.R. Martin’s bestselling A Song of Ice and Fire books, has skyrocketed, fans have eagerly looked for any and all information on the Dothraki characters and culture – creating their own online communities to catalogue Dothraki dialogue, vocabulary, and grammar from show scripts, along with their own instructional language videos on YouTube. There are already nearly 150 self-identified Dothraki speakers on the popular “Tongues of Ice and Fire” Wiki. Now, for the first time, viewers and readers have access to an official guide to Dothraki compiled by acclaimed language and culture consultant David J. Peterson. With more than 500 words and phrases, and including never-before-heard material and words coined exclusively for the Living Language Dothraki course, fans will have the chance to master the language and join Daenerys on her march toward King’s Landing to reclaim the Iron Throne. Like a traditional language course, users will learn vocabulary, grammar, pronunciation and even cultural notes, which lay out context as well as dos and don’ts. For example, since horses are so central to Dothraki culture, many phrases have their roots in the equestrian. Whatever you do, never call a Dothraki warrior an ifak (walker): the ultimate insult since it implies he can no longer ride his horse. Peterson narrates the course’s lessons and dialogues, giving fans the opportunity to learn Dothraki straight from the source. For more information on each edition of the course, visit www.livinglanguage.com/dothraki.